Finding the right apartment is only half the battle; you also need to find the right management company and amenities to suit your lifestyle. Just as no two houses are alike, no two apartments are alike either. There is more to the challenge than just price and location. Spartan Management offers more than just a place to live. Our properties are professionally managed on a daily basis and each property is well maintained and cared for. We’re committed to providing the highest quality service available in the St. Louis area. 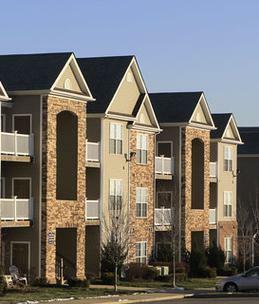 We consider all aspects of the person applying for an apartment, not just the credit score. Browse our properties and call us today to learn more about how we can help you get into that new apartment. We look forward to hearing from you soon. We accept these cards on site and online.